Winona, MN based artist, Joy Davis Ripley questions our automatic perception of what we experience and cultivates unique art on a common canvas. She creates one-of-a-kind designs from fine-art photographs and collaborates with a manufacturer for locally sourced and environmentally-sound production processes. Davis Ripley believes that as the pace of life increases, we must embrace the opportunity to be genuinely surprised. 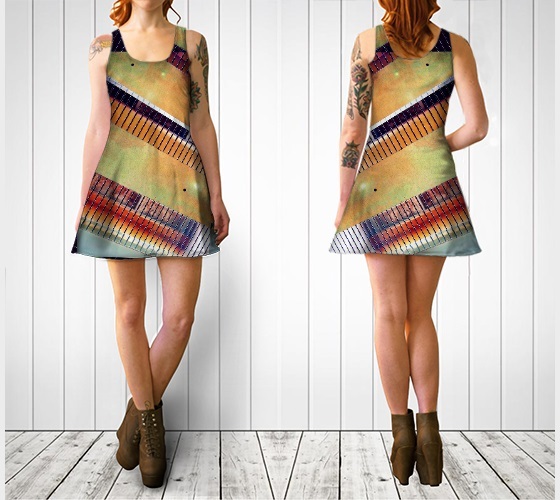 The wearers of Joy Davis Ripley Photography on fabric, become more creative, and establish mindful engagement with the world around them by wearing these innovative artistic creations. Davis Ripley creates her work by defamiliarizing herself with her subjects in order to capture newness. Her work creates a space for cognitive dissonance, leading to fresh perspectives.